Regardless of the medium, a business’ approach for connecting and engaging with customers as well as prospects should always be strategic. These interactions should address the specific needs, characteristics, behaviors, and even the challenges of that particular audience. Here are some nuggets of knowledge to help your business create content that’s certainly worth consuming. Take advantage of the creative you already have by sharing it across your marketing channels. Have a compelling TV spot fresh out of the studio? Share it with your Facebook fans and Twitter followers. Found success engaging with customers via social media? Include that in your next radio ad. Creating content does not just need to be reserved for marketing folk. Anyone within your company can contribute valuable information that highlights different perspectives, areas of expertise, and understanding of a customer’s wants and needs. Spend some time researching the latest trends, then become part of the conversation. 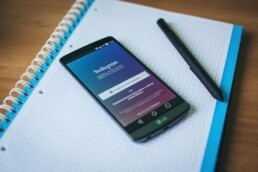 For example, using hashtags on social media sites (Twitter, Instagram, Google+) can help your brand stay extremely relevant and expand its current reach with minimal effort. People respond better to visual information than plain text, and brands who embrace visual content such as videos and photos typically see more readers, leads, and customers. According to Hubspot – photos on Facebook generate 53% more “likes” than the average post. We’ve found that our audiences love visuals like pictures and infographics that have a “Pinterest-like” feel to them. Ultimately, great content topics are often found at the intersection of a business’ expertise and its audience’s core interests and needs. We hope these tips help your business navigate through some of the ins and outs of social media.